Young at Heart: A ministry to our senior saints with a special day set aside the first Tuesday in April. Midwest Children's Home: This ministry is to less fortunate children who need a home. India: Our preacher makes regular mission trips to a country that is home to one billion souls! 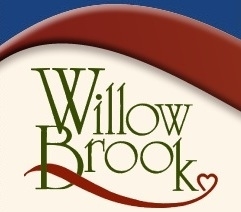 Willow Brook Christian Communities: A not-for-profit ministry of independent and assisted-living options for seniors. Ladies' Bible Class: The ladies meet every other Tuesday morning during the school months for Bible study at 10:00 a.m. Vacation Bible School: Held the third week of June every year, a wonderful, fun Christian learning event for kids of ALL ages! Third Sunday Evening Q&A: The evening services offer Bible-based answers to questions submitted in a drop-box located near the main entrance. Questions may be submitted anonymously. Fourth Sunday Evening Song and Scripture Service: Held the fourth Sunday of each month. Fourth Sunday 'Finger Food' Nights: Also held the fourth Sunday of each month immediately following our evening services to celebrate the upcoming month's birthdays and anniversaries! www.DelawareChurch.org *Our Home on the World Wide Web! "Go ye therefore, and teach all nations, baptizing them in the name of the Father, and of the Son, and of the Holy Ghost: Teaching them to observe all things whatsoever I have commanded you: and, lo, I am with you always, even unto the end of the world. Amen."